During our two-week winter intensive, January 7-20, 2018, students can take 1 of three for-credit courses. The winter session is small and hosts no more than 30 students on campus. 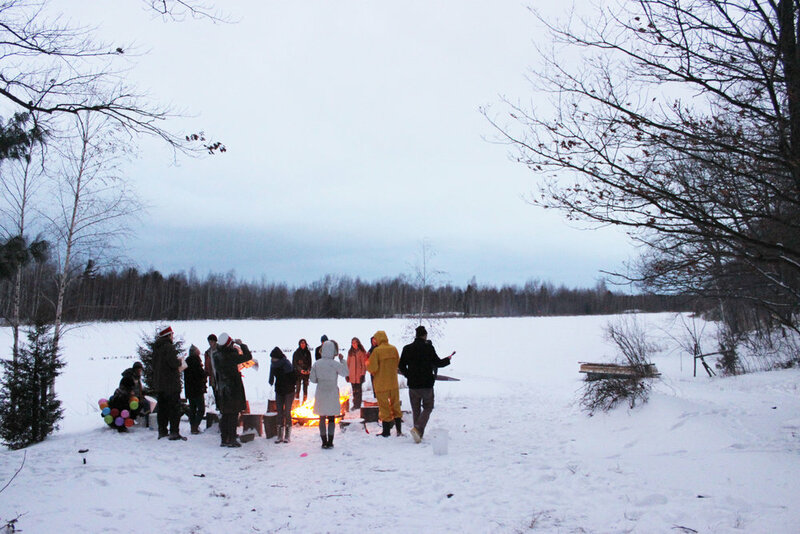 It is a great time to enjoy the winter landscape while taking advantage of the space for quiet and uninterrupted artmaking. Our campus is located in Saugatuck, Michigan, about 2 hours away from Chicago. Students must reside on campus and take the course for school credit. Winter 2018 registration begins on November 12, 2018. In-Person Registration & Work Scholarship Sign-up starts at 8:30 am, Ox-Bow office: 36 S Wabash, 1425. Online Registration begins at 1pm CST and continues until classes are full.